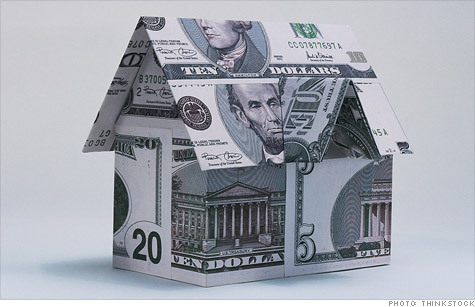 Big profits can be made buying liens on homes with overdue property taxes. NEW YORK (CNNMoney) -- Jean Norton's first foray into tax lien investing was hands-down a lucrative one. Norton, who was a marketing director at a tech firm at the time, had bought and sold real estate for years. She had heard about investors who were making nice profits buying liens on homes with overdue property taxes. So in 2009, she attended a seminar to learn how to put her own skin in the game. Soon afterward, she bought more than $20,000 in liens at auctions in foreclosure-riddled Florida that were promising to pay 17% to 18% in interest. Within two years, she got her entire investment back, plus double-digit returns. "It was always a nice surprise to get a check in the mail," said Norton, now 55. Now big institutional investors have joined individual investors. But like any investment offering tempting yields, the potential pitfalls of tax lien investing are pretty huge: Those who lose out could either end up saddled with a worthless property or with nothing at all. Between $7 billion and $10 billion in property taxes go delinquent each year, according to Brad Westover, executive director for the National Tax Lien Association. For many state, county and local governments, the failure to collect on these debts weighs heavily on their already-overburdened budgets. In 29 states, plus the District of Columbia, they turn to investors for help. In these states, investors buy tax lien certificates at auctions, effectively owning a claim against the property until the homeowner pays the county or municipality back or until they default on the debt entirely. In return, the county gets the money it needs to fund schools, pave roads and pay for other infrastructure and services. Homeowners who pay back what they owe, pay the county, which then repays the investor the principal, plus whatever interest rate was set at auction. The interest is where the real money can be made. States set rates that the counties can charge delinquent taxpayers on overdue taxes and they can range anywhere from 12% to 24%, according to Larry Loftis, an attorney, tax lien investor, and author of "Profit by Investing in Real Estate Tax Liens." There are several different kinds of tax lien auctions. In one of the most common methods, the winning bidder is the one who will accept the lowest interest rate. That can lower the rate to far below what state laws allow, but it can still be much higher than other investments. "I just [invested] $1 million last week and most of the liens I won were at 7%, with a handful at 8%, a few at 9%, two at 10%, and one at 11%," said Loftis. The big gamble: Most homeowners pay off their back taxes within a year and nearly all of them pay what they owe eventually. According to local tax authorities in Colorado, about 95% of back taxes are paid off within two years, a rate that Donald Dinan, general counsel for the National Tax Lien Association, said generally holds true for the nation as a whole. For the 5% of liens that don't get repaid, however, things can get pretty messy. Lien holders may have to pursue a foreclosure, and, if that doesn't get the homeowner to pay their taxes, then the investor will likely have to take possession of the property. That means going through a legal process that often includes getting a sheriff to evict the old occupants. If an investor fails to do either of those things, the lien will eventually expire and it will become worthless. In a foreclosure, the tax lien holder usually has first claim on the property, even over the bank that holds the mortgage (should the homeowner still owe money on the home). Foreclosures go through the county, which has to notify the delinquent taxpayer that a foreclosure sale is pending and advertise the sale, usually online and in local newspapers. In many states, the tax lien holder can get full title free and clear on the property in a foreclosure: The bank gets nothing. However, to protect its interest, the bank will often pay off the back taxes, plus interest. If there's no mortgage, the lien holder can repossess the home. That's not a bad deal if the home is worth more than the amount the lien buyer has already put into the deal. In fact, some investors look for that potential when they bid on the debt. Can I use my IRA to buy an apartment building? However, wading into tax lien foreclosures -- on purpose -- is a tricky and time-consuming business that can easily backfire. "Risks come mainly from not knowing what you're doing," said Loftis. "The biggest risk is getting a lien on a worthless property. Contrary to what you see and hear on the 'Get rich quick' infomercials on tax lien investing, the county government does not guarantee your investment." Almost all counties that sell liens sell hundreds of them on worthless properties each year. That's especially true in blighted inner-city neighborhoods where foreclosures have wrecked the housing market and many homes are selling for $10,000 or less. If the property owner doesn't pay, there's no way for investors to get back their money by foreclosing and selling the house. Buyers have to make sure that the total amount of debt the house carries is less than its market value. You don't want it to total much more than 60% or so of the home's market value, said Westover, and, ideally, much less. Other potential pitfalls include buying a lien on a home that also has an IRS lien on it (the agency also has a first claim on the assets), bankruptcy of the owner, which can delay a foreclosure even longer, and environmental hazards. For intrepid investors, buying a tax lien can be a lucrative bet -- just be prepared for the fact that you may end up the unwitting owner of a home that could cost you your investment and then some.